Today’s guest post is such a refreshing moment for me. As a woman in ministry who has gone through significant changes and left normal behind about a billion times, my hat goes off to this amazing lady that I’ve invited to share here with you today. 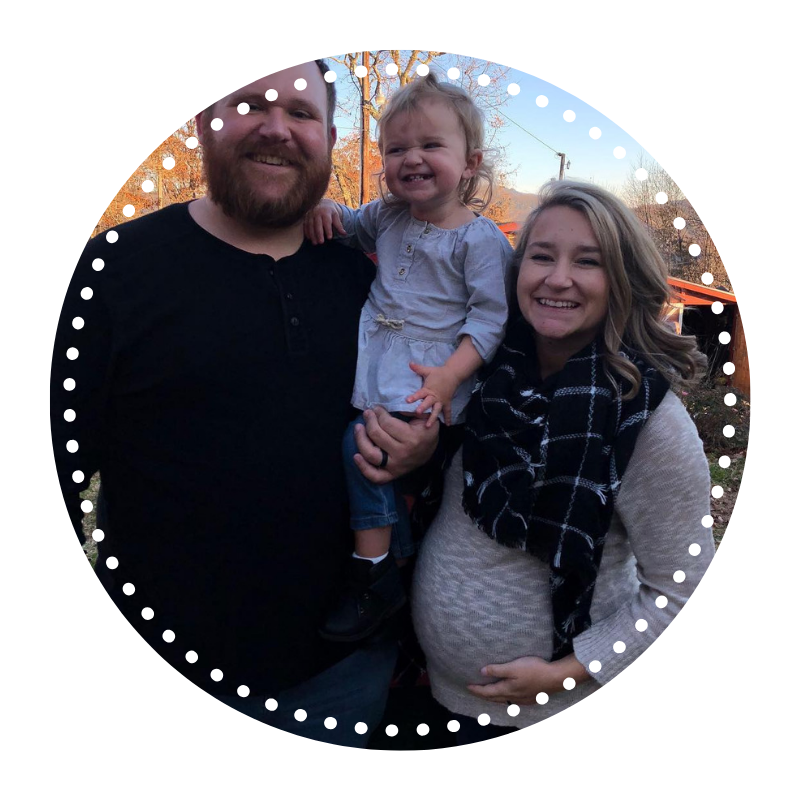 Brooke is a pastor’s wife with a HUGE heart for fellow moms and college students. Her perspective is amazingly and beautifully centered on Jesus and I’m so thankful for her! Keep an eye on her Instagram feed… a new little person should be popping by in just a few weeks! Welcome Brooke with me today to Simple Deep Life! Recently our family made a huge move. Oh also, did I mention we are expecting a new baby December 22nd? Eight months pregnant, a toddler, and a long drive to family does not equal a winning equation in our book. We want to enjoy our holiday season, not make ourselves crazy. So that means this year’s holiday season is going to look quite different than it ever has. New house, new friends, new church family, and a new baby. Seriously, different as different can be. If you are a holiday and family guru, all that may have just seriously stressed you out. It sort of did me too at first. Don’t worry, like I said, we still want to enjoy the Holidays, even amid all the changes. And we are going to enjoy the holidays, even amid those changes. Living fully with what is right in front of me. Holidays seem to be either happy, sad, or stressful. And for some reason nowhere in between. This year, we as a family, are choosing to find the in-between. We are choosing to simply enjoy the difference, not mourn the loss of tradition. To be fully present, letting go of unrealistic expectations of others, of what could have been, or what used to be. That doesn’t mean we won’t miss our families, because we absolutely will. I mean, come on. There is nothing more heartwarming for me than seeing family love our daughter so well. We will absolutely miss it all, but to simplify and enjoy our holiday season this year we must be, and are going to be, expectation free and fully present in our current norm. You may be dreading this holiday seasons, or you may already have your countdown going. Either way, I want to encourage you to have the simplify and enjoy your holiday season this year. I want to encourage you to be expectation free, and just be. Sounds simple right? Well it takes a little effort. You can't just say you are though, you actually have to be expectation free. You have to be present in the moment and open to looking for the extra in the ordinary. It can end up being extraordinary. The sneaky thing about expectations is that we, more often than not, don't even realize they exist. We are hanging on to memories of the past and how things used to be, expecting that our new norm won’t be as good. We get so excited for how we hope things to be, and when they aren’t, we are crushed and can’t enjoy what is. I’ve been there, and I know what that is like. What if you laid down your expectations and desires for a perfect holiday, and just found the perfect in the moment? What if you were fully present, instead of trying to find the perfect preset for your social media post? Can we choose to just be this year? To simply just enjoy. To put aside the expectations of what could have been, or what would have been, and enjoy the real that is. Give it a try, I don’t think you’ll regret it. Brooke is a pastor's wife, girl mom, and an introvert with strong extrovert tendencies. She writes, she creates, she mentors & she disciples. She has been a teacher and a Children's Minister. However, these days most of her time consists of supporting husband and pouring into their tiny disciple, Hensley Jae, and growing Magnolia Kate. Find her at her website or Instagram!